Torrs Hydro is a micro hydroelectric scheme, owned by the community, in New Mills, Derbyshire. 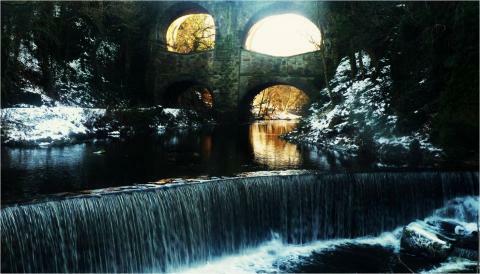 It is located on the River Goyt, immediately after its confluence with the River Sett at the Torr weir. A 2.4-metre diameter reverse Archimedean screw generates 70 kW of electricity. It provides a lot of local energy to the shops I often purhase from.